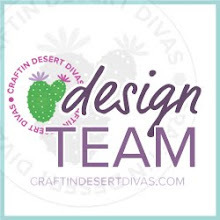 Are you ready for some more sneak peeks of the August stamp release at Craftin Desert Divas ? We have four new stamp sets in this release. Day 4 sneak peeks are going to be a larger 5x7 stamp set! code: August starting on Saturday. The free mini stamp & sale will end Aug. 31, 2014. 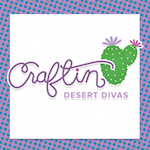 Welcome to Day 2 of Craftin Desert Divas August stamp release! Each day we will be giving you a sneak peek at one of the four new stamp sets. Then, on Saturday and Sunday, we will have a blog hop with prizes each day. There are some amazing creations being shared today during this stamp release. We also have some special guest designers who will be joining us. 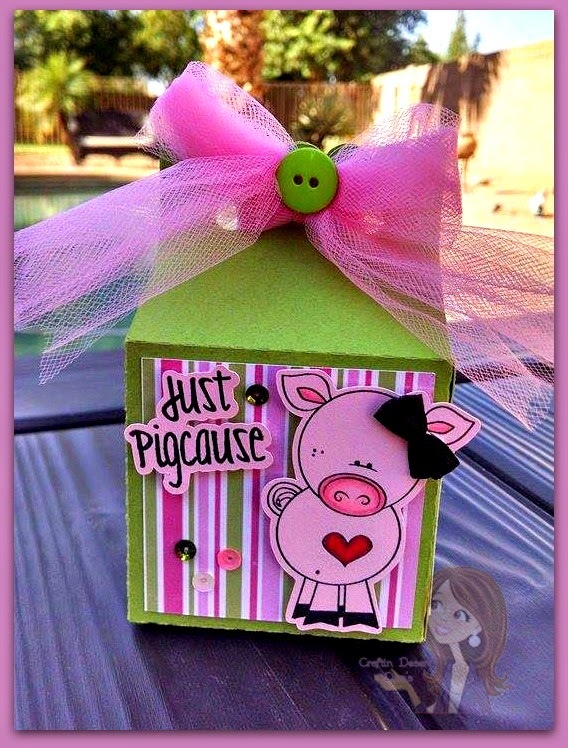 Today we are showcasing the Just Pigcause stamp set. This set is another one that has an adorable Trina Clark pig on it. I think you will see a variety of different projects you can use this stamp set on. So for today I decided to go with a treat container. 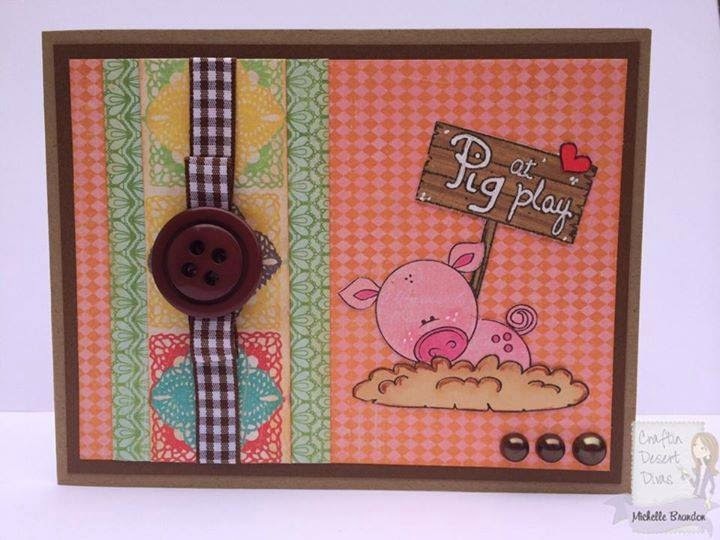 This set was so fun to put together with those Trina Clark pigs and the fun sentiments! 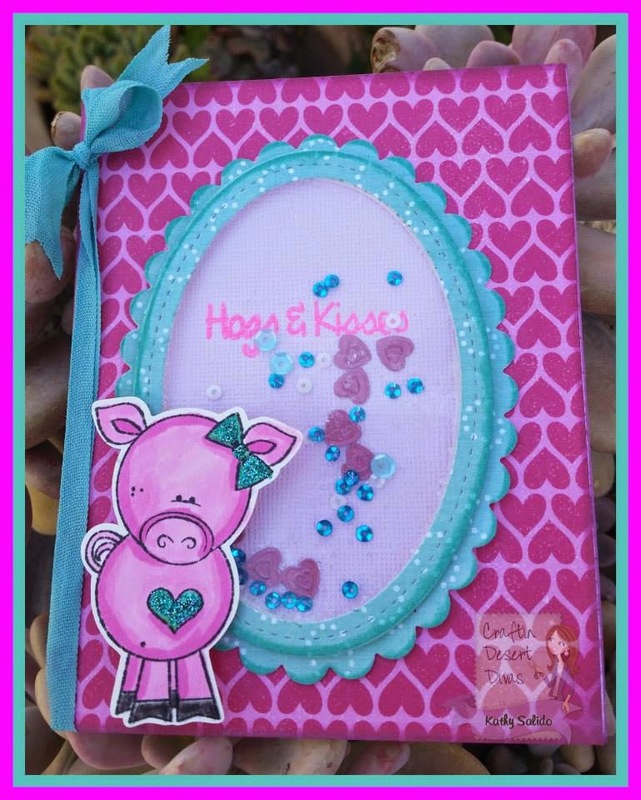 I used some pink cardstock (yes I cheated LOL) and cut out the SVG cut for the pig shape and then stamped the pig image on it. I did color in her snout, ears and heart with my Spectrum Noir markers. I'm starting out slowly with the coloring. I really think the SVG cut makes it so simple to stamp the images. As you can see I also used it to cut out the sentiment saying, I like the way it looks. It makes it stand out without having to use a tag or some other shape to stamp the sentiment on. This was super simple to put together. I added some paper, image, sentiment, tulle bow, button and sequins and it was complete. Winner was picked using random.org from DT member Marina's page. Love you box, Tara! Another great stamp set I'm going to love! The box is super cute! And I'm loving all the projects and of course the stamps!!!!! This is adorable!! !...The fact that we get the SVG's to go with these images gives us so many possibilites!!!! Like the treat container with wonderful tulle bow. Awesome Tara!! Lo e the great colors and awesome treat holder!! DT, you gals did wonderfully, always fantastic! I LOVE that stamp!!! 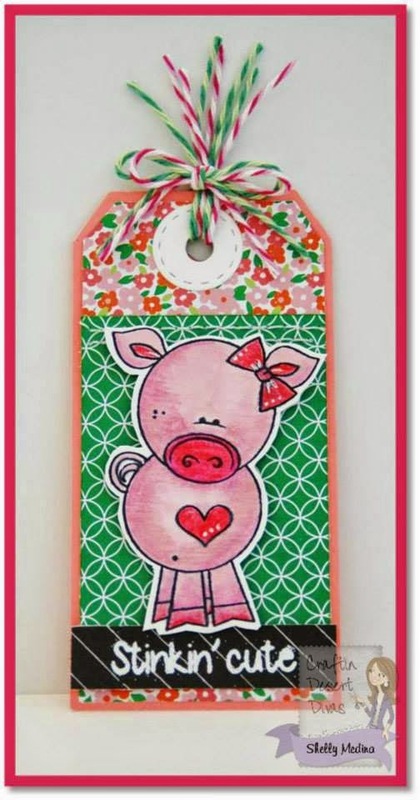 You can stamp it on your favorite pig out snack and not feel guilty b/c of the cute stamp!! Totally cute & fun projects!! Congrats to the winner!! oh I just LOVE this!!! Your project is just so adorable Tara!! Lovin' these pigs!!! Absolutely loving this stamp set! Your treat holder is so cute!!! Eeeee! I LOVE pigs so this set is perfect for me! Oh my gosh am I excited for this release! I love your box Tara! Is so adorable! Congratulations to the winner as well! 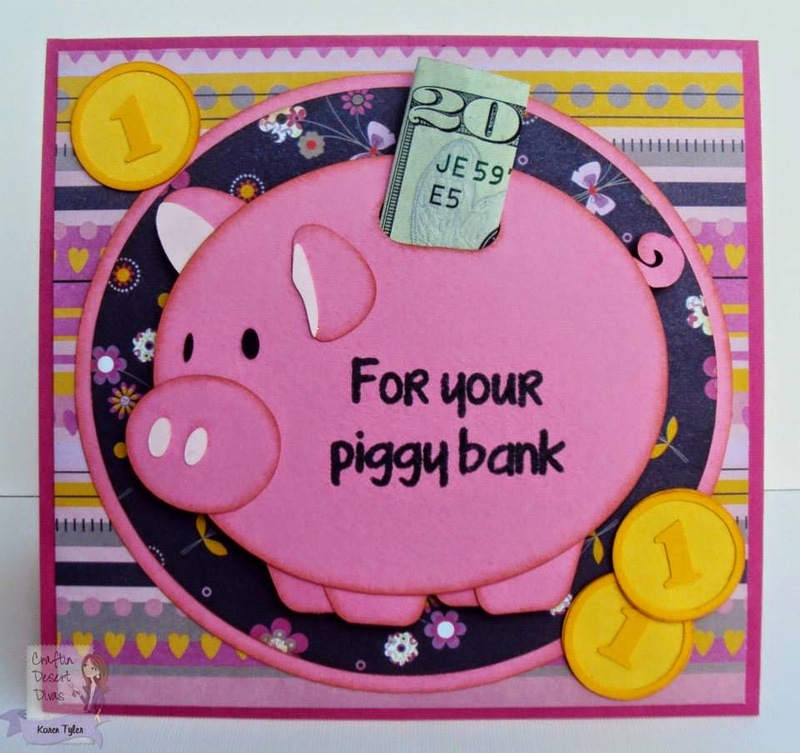 Your piggy box is so adorable! I love it!! super cute projects!! 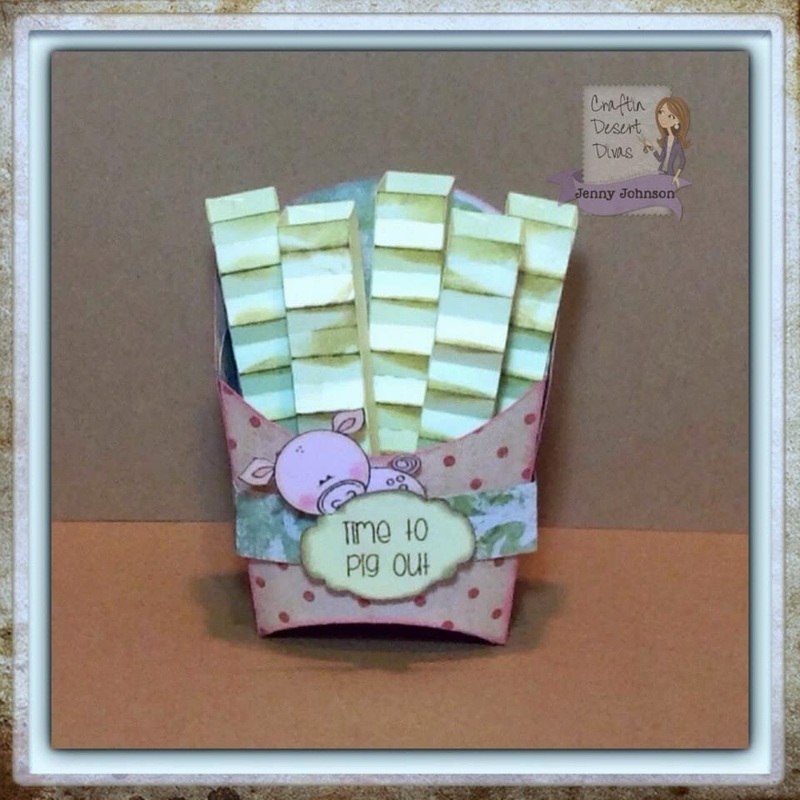 love the cute box Tara!! The little piggy box is adorable! I love the paper and all of the pink! Awesome sneak peeks! Beautiful and cute as can be treat box. Great projects from everyone and a job well done on showcasing this stamp set. It is so cute and fun. Such awesome projects. These are adorable!! I love your treat container! That pink and green are great combos too! Love , love this super cute project !!! 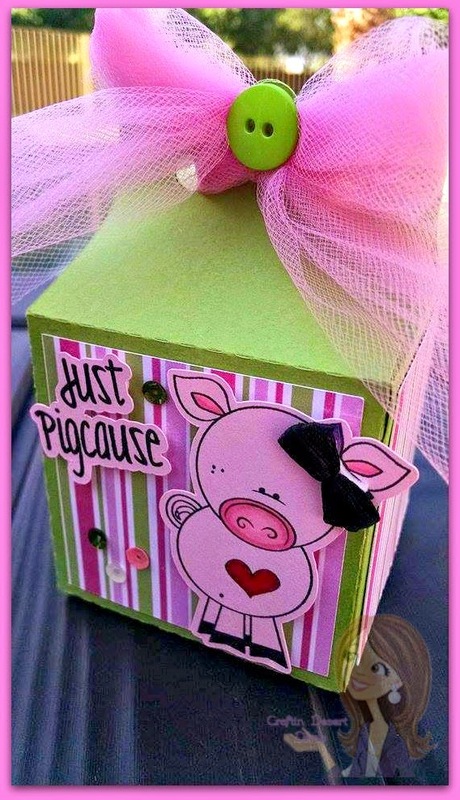 Absolutely love your piggy box. The colors are fabulous!